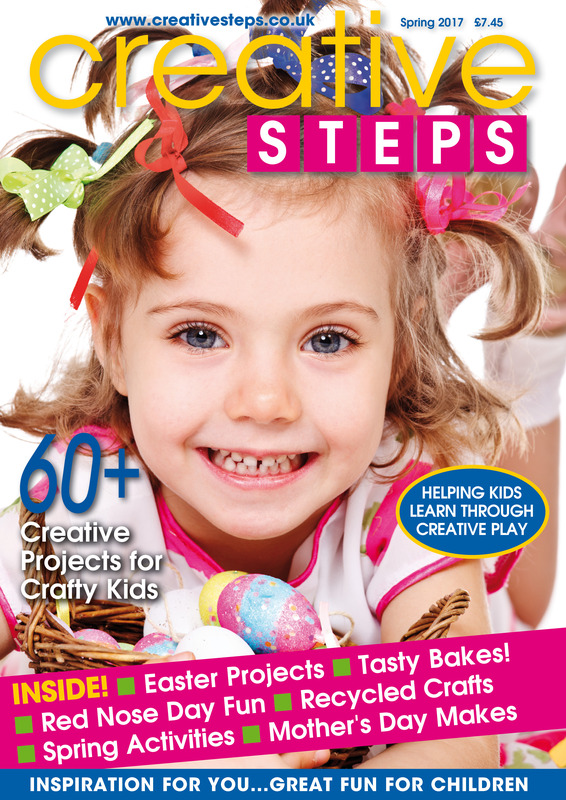 SPRING is a fabulous time to get crafty with your kids and the latest issue of Creative Steps is packed with 60+ super sprinttime crafts & activities. 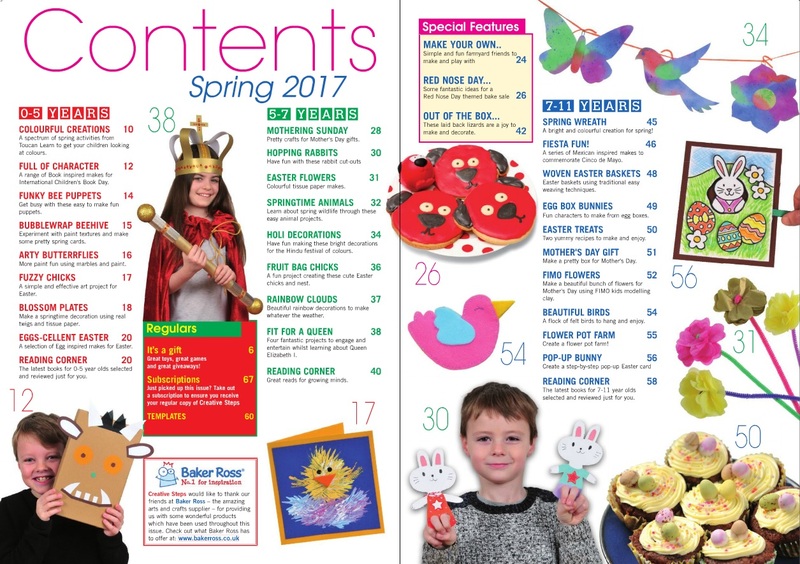 Now available in print and online… The SPRING issue offers you dozens of fun ideas to get crafty with your kids during the coming months. Includes: marvelous Easter makes, stunning Mother’s Day gifts, recycled crafts, Red Nose Day fun, Book Day ideas, springtime inspired crafts, tasty bakes and more! PLUS… Don’t miss the £100’s of fabulous toys, books and resources to be won in this issue in our free to enter competitions – including your chance to win fantastic Drumond Park games ‘bundles’ and family tickets to KidZania! A fantastic magazine packed with easy, fun projects and activities … an excellent source of inspiration for childminders & nannies, nursery & primary school teachers, classroom assistants, playgroup and pre-school organisers, home educators, Rainbow, Brownie, Guide and Scouting leaders and, of course, parents and grandparents!